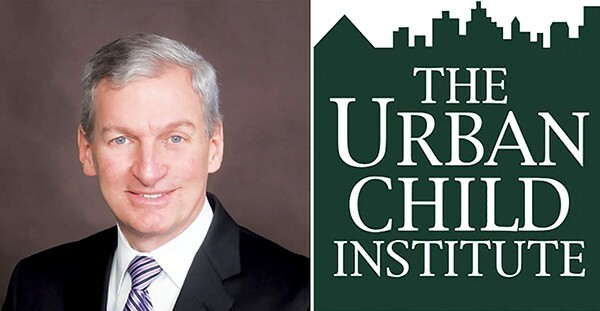 The Urban Child Institute starts new chapter with a new leader, new focus. Major changes could be on the way for the Urban Child Institute (TUCI) as board members are set to soon vote on some new directions for the non-profit organization as it prepares a physical move into Crosstown Concourse. Much has already changed at TUCI since a 2015 shake-up saw the departure of the organization’s president and board chairman. The organization then downsized, shifted its to focus to interventions (rather than just research) to promote childhood wellness, and committed to giving away larger sums of its vast reserves. In February, former Methodist Healthcare CEO Gary Shorb was hired to helm TUCI and implement those new directions. Five months in, Shorb said TUCI runs lean, has a clear mission, and is ready to help make tangible changes for children in the Memphis community. Flyer: What was the state of TUCI when you got there? Gary Shorb: Meri Armour [a TUCI board member and Le Bonheur Children’s Hospital CEO] was interim executive director for a year. She did a terrific job of following the board direction of downsizing, and reshaping, and redirecting the organization. All of that was done, and a great foundation was in place. How is the organization redirecting? We’re working with the board now to define our focus. We are really proposing to have as our primary focus [initiatives that would get] four-year-olds ready for kindergarten. Our secondary focus is third-grade literacy. One of the biggest indicators of success in school is: Are you ready for kindergarten? And: Can you read at third-grade level? Those two areas, it seems to us, have a pretty big payback in terms of economic development and educational goals attainment. Are other changes on the way? What we’re going to try to do is develop a project in collaboration with Pyramid Peak Foundation and other foundations that is more geographically specific and focused on one area, where we bring a number of organizations together to collaborate effectively and make a bigger impact. All of that is in the planning stages. Well, we’re moving more away from research, other than what [the University of Tennessee Health Science Center] has going on right now. We’re trying to move more into intervention and finding best practices for services. Porther Leath and Agape [Child and Family Services] have got their Powerlines work that’s going on [which connects needy families to resources] and is really focused on apartment complexes. We want to tie that in with the child-care centers that are around their apartment complexes. Then, we can bring together the organizations that are already working in a geographic area and see if we can help them build capacity and follow more best practices to really have a bigger impact in a particular area. This sounds like a major shift. It is from a last few years of the TUCI focus where they had the [relationship with the] RAND Corp. and were doing a lot of research. What the board wanted to do and what Meri started was funding more of the outreach, funding more intervention work with families and with children. It’s a continuation of that. We’re trying to more specifically define the work into geographic and child-care-center projects and in those two big goals: kindergarten readiness and third-grade literacy.